Southern train services in Sussex this morning may be cancelled, delayed or revised, following a ‘trespass incident’ in Havant. Services between London Victoria, Brighton, Horsham, Portsmouth Harbour, Southampton Central, Littlehampton and Portsmouth and Southsea are reportedly affected. A spokesman for National Rail said: “A trespass incident was reported earlier this morning in the Havant area. 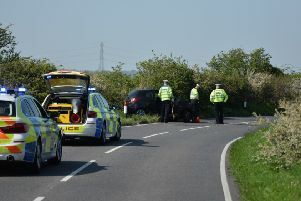 Emergency services attended this incident, and lines have now reopened. Disruption is expected until 10am, National Rail said. It said Southern customers can use their tickets on Stagecoach buses at no additional charge. Passengers can check their journey using the National Rail Enquiries real-time Journey Planner. Trespassing on the railway is illegal and dangerous and people can be taken to court and face a £1,000 fine, Network Rail says on its website.